Nearly 334 tags will hang at some point off the branches of a silver birch that sits in Farinon. 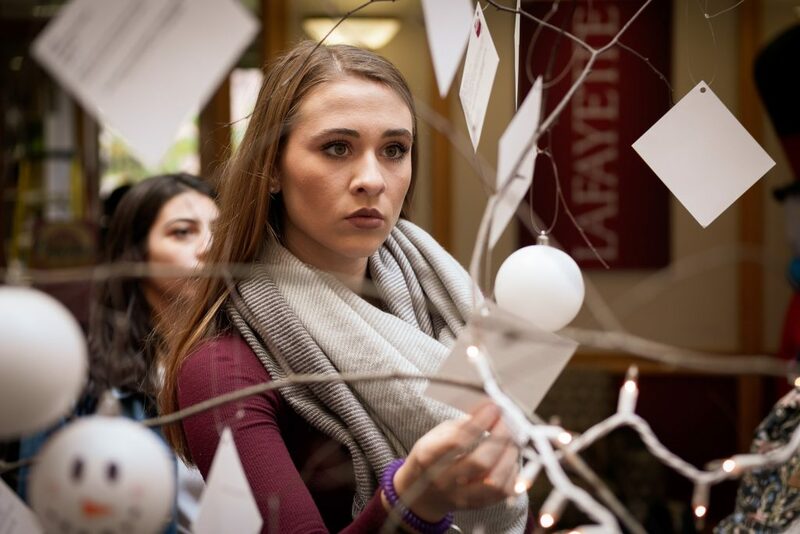 Each tag is tied to a Lehigh Valley family in need. Some tags seek basic items like diapers and formula as well as fun items like puzzles, crayons, dolls, and blocks. As students, staff, and faculty select tags, Landis Center for Community Engagement volunteers place more on the branches. 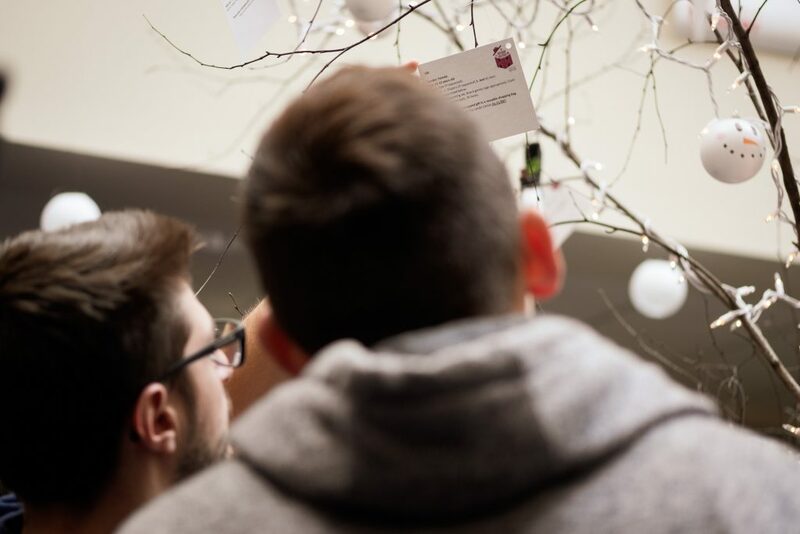 Surrounding the tree are volunteers who register the tags and helpers, and remind them that gifts are due back by Nov. 30. Filling the space is this year’s theme: snowmen. They dangle as ornaments in the tree, dot the tables on chocolate candies, and lay in parts as people build them with marshmallows, chocolate chips, and pretzel sticks. Jennifer Burkhart ’19 and her Landis team helped organize the event. 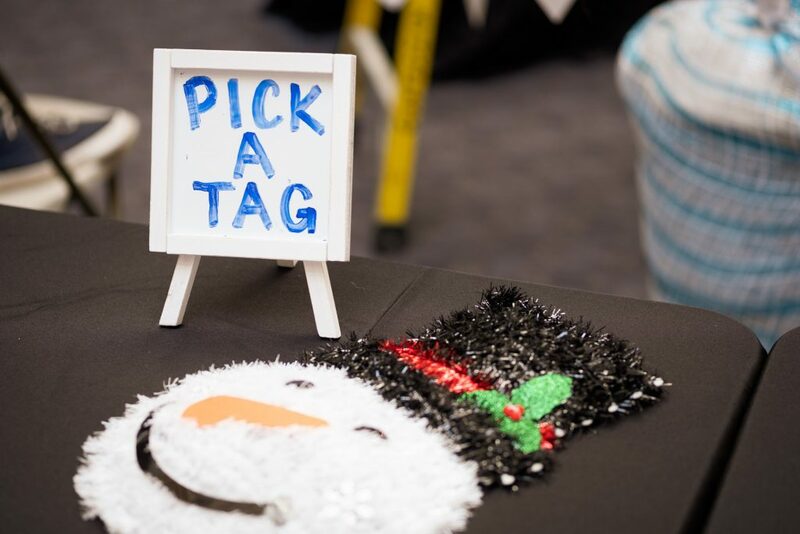 More than just snowmen and tags, the team plans and coordinates key details like making sure all tags are tracked, gifts returned, requests fulfilled, and gifts fairly distributed. The community relies on these gifts. 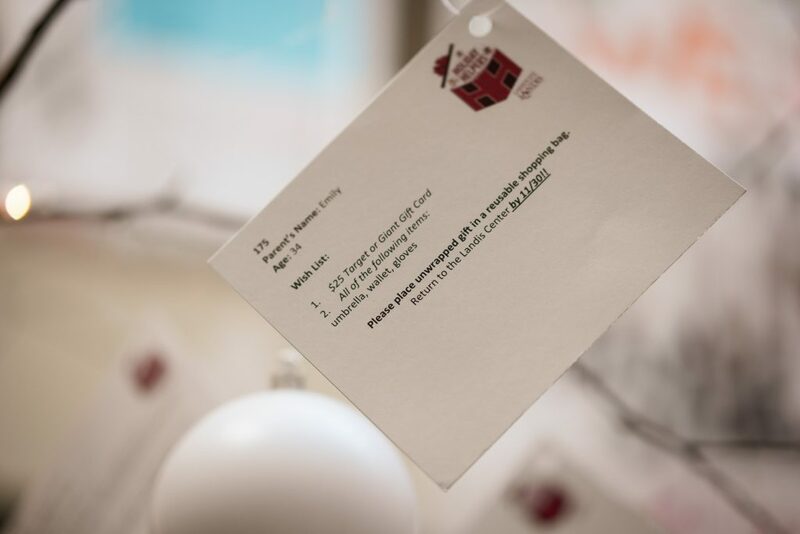 The tags benefit three local organizations: Third Street Alliance for Women and Children, St. Luke’s Nurse Family Partnership Program (NFP), and The Neighborhood Center. Tiffany Grabinski, program manager at St. Luke’s NFP, says her team serves 250 families across two counties. Sometimes that merriment comes in different forms and just at the right time. Lynn Ondrusek, community outreach and communications manager at Third Street Alliance for Women and Children, remembers how a mom and daughter came into the shelter with nothing. Gift cards from Holiday Helpers allowed the new residents to get items they needed. While gift cards may seem impersonal, the community partners know that parents use them for household items and additional children’s gifts. If you want to help, contact Amber Zuber, director of leadership and service programs at Landis Center for Community Engagement. All gifts should be placed in a reusable shopping bag with the tag securely attached by Friday, Nov. 30.